Welcome to one of our paddle tour company profiles. These are designed to give you a look at the companies that book and run tours so you can see what’s on offer. This time, we’re highlighting a UK-based booking site, offering tours in Northern Europe. Perfect for Beginners: Nature Travels has several excellent tours that are perfect for those who don’t have much, or any, paddling experience under their belt. All their canoeing trips are self-guided, with a range of difficulties, from “easy” for beginners to “hard” for those looking for a challenge. Check out their “Canoe Getaway in Skåne” (Sweden) for a 4-day tour that’s easy to get to and suitable for the whole family. Sweden’s sheltered archipelagos are ideal for trying out sea kayaking for the first time. Try out Nature Travels’ self-guided or guided tours in the Stockholm Archipelago or St Anna and Gryt. Multi-activity: Not everyone wants to paddle for their entire holiday. If you’re looking for a mixed tour, take a look at ‘Bushcraft, Canoeing & Hiking with Huskies in Kainuu (Finland)‘, which is a fun family option with a minimum age of 6. This 6-day tour gives you the opportunity to spend time around some beautiful dogs, taking part in the daily life of the kennels where they live. You can hike with the huskies in the forest, go fishing, take a canoe out on the lake, and go foraging. In the winter, why not return for a dog sledding tour? Unique Experience: If you want something unforgettable for your family, group of friends, Scout group, or school party, you can’t pass up on the opportunity to go timber rafting in Sweden. This 5 or 8-day experience begins with building your own raft from nothing but ropes and logs – leaving you with a raft weighing a good couple of thousand kilograms. You let the flow of the River Klarälven carry you downstream, using a pole and paddles to steer when you need to. A canoe or sit-on-top kayak is included for each group, so someone can paddle alongside the raft if they want. Along the way, you’ll learn to work as a team, pass picturesque rural villages, and stop to camp each evening. Nature Travels offers an excellent range of paddling and non-paddling tours for all types of traveller. Sweden is their primary location, where they offer a variety of tours on lakes, rivers, and sea, but they also offer activities in Norway and Finland. If you want to mix it up, you can combine one of their paddling tours with something different for a trip that keeps you entertained. If you’re looking for a holiday where paddling is available but not compulsory, try one of their accommodation packages, where a canoe is often included for your use. 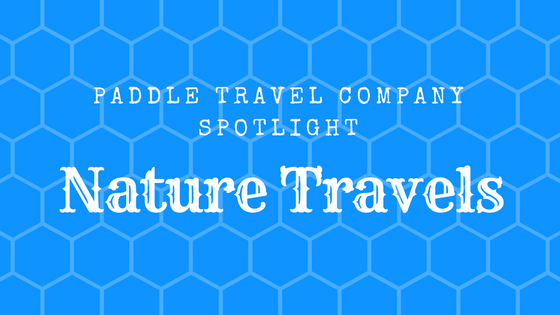 Remember that as a booking site, Nature Travels works with a number of different tour and service providers. Nature Travels are currently (May 2018) giving 5% off when you book for summer 2018. ← Learn to Paddle: Where to Start?